Arrive an hour early at the Lyric Opera to listen in on a lecture. 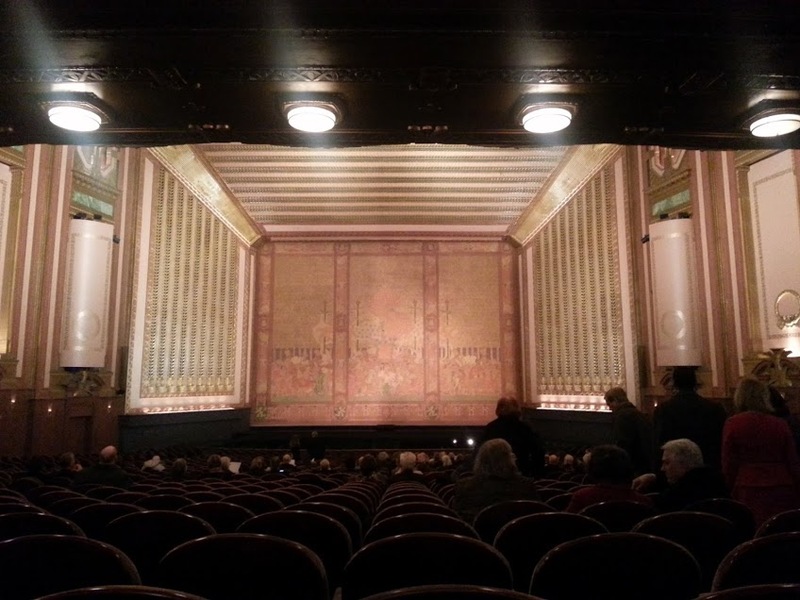 I’ve had a couple mixed experiences at the Lyric Opera, mainly attending more modern takes on classic operas. That’s why I was excited to go see a truly classical opera, Rigoletto. In researching Rigoletto ahead of time, I learned that the Verdi masterpiece has been recognized as a nearly perfect opera. And I really liked the traditional production of it, so I definitely recommend you read up on the opera you’re interested in seeing – confirm it’s the composer and style of production you have in mind. Read up on the opera you’re going to see so you understand the plot and characters. I randomly picked up a book called Opera 101 when the library in my office was purging its shelves, and it positioned Rigoletto as “your first opera.” It was helpful to learn what made this opera special and its history. Head to the Lyric Opera an hour early. Before each show, the opera offers a lecture (included in the price of your ticket) about the upcoming opera. This was a nice complement to my own research, and funny enough, both referenced the legendary 1971 performance of the opera, where Luciano Pavarotti plays the duke. Read up on the cast. It was cool to see a very talented Polish opera singer, Andrzej Dobber, as the title character in the production I attended. The Lyric Opera is gorgeous. From the auditorium to the main hall, it’s so golden and antique-ey looking. And we all know how much I love gold and antiques.